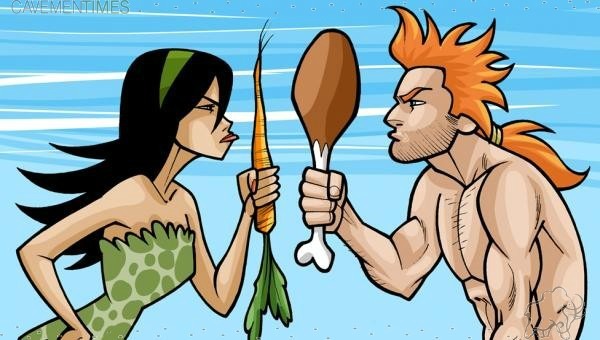 Who Really Lives Longer... Omnivores or Vegetarians? Good morning all and welcome to our 9th edition of Life Saving Health Solutions. Let’s get straight into it by talking about something that virtually everyone seems to have an opinion on… Do vegetarians live longer than meat eaters or vice versa? Then in May of last year there was a story on CBS news about a Texan woman by the name of Pearl Cantrell, who turned 105 years old and still enjoyed dancing regularly. Of course the reporter asked her what she attributed her longevity to and she said… “I love bacon, I eat it every day!” Pearl also said that she never felt her age and it was bacon that got her through the tough times (Pearl did pass away in February of this year, 1 month shy of her 106th birthday. Still, not a bad innings though!). So this lady was definitely not a vegetarian. Shirali Muslimov made world headlines when he died on September 2nd 1973 at the age of 168. He was not a vegan either but what’s especially interesting is he reportedly ate a lot of fermented yoghurt. Fermented foods are incredibly rich in probiotics and these are actually one of the most underrated foods for overall good health and longevity. But a French woman by the name of Jeanne Calment is actually the oldest documented and confirmed lived person in history. She died at the age of 122 (she was also not a vegetarian) and attributed her longevity to drinking port wine and eating lots of chocolate! What About Vegans Over the Age of 100? Loreen Dinwiddie - The oldest woman on record in Multnomah County at 108 years of age. She follows a fully plant-based vegan diet. Angeline Strandal - Appeared in Newsweek magazine at 104 years of age. She loves the Boston RedSox and watching heavyweight boxing matches. She’s outlived 11 of her siblings and when asked what she attributed her longevity to, she said "I'm a vegetarian". Beatrice Wood - This is the woman whom the movie "TITANIC" is written about. Beatrice inspired the character of the elderly woman named "Rose" in the film. She lived to be 105 on a complete Vegetarian diet. The Okinawa people in Japan regularly live to be 100 years old and beyond. But are they vegans? No they are not. Even though they only eat meat (pork) occasionally and mainly eat fish and vegetables, they are not fully fledged vegetarians. They are, however, very close. With the studies that have been done on the Okinawa’s, researchers have found that it’s the rich source of minerals ( coral calcuim mainly) that these people are exposed to that plays a big role in their longevity. 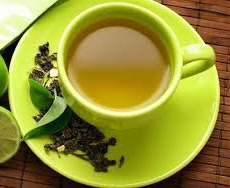 The Japanese are also famous for drinking lots of green tea , which is incredibly rich in antioxidants. 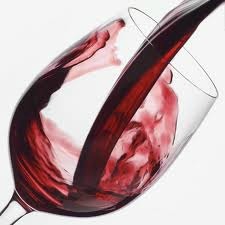 Now the French are also not vegetarians (although I’m sure some are) and reason these people live longer than us, according to multiple studies, is because of the amount of red wine they drink. Red wine is incredibly rich in the powerful antioxidant resveratrol and red wine also helps to promote the growth of good bacteria (probiotics) in the gut. Both of these benefits have a huge bearing on disease prevention and longevity in humans. Of course, it should be noted that most of the red wine drank in France comes straight from the vineyards and is not full of harmful preservatives like the red wine we buy in shops. When you look at all the research and real life findings on what it takes to live to be a “healthy” 100 and beyond (and believe me, I’ve read tons and tons of information on this fascinating subject), you will find lots of contradicting data, along with proof and evidence on both sides of the argument. There are, however, a few common denominators that I believe contribute significantly to someone living to 100 years and beyond. Another factor that has been found to contribute to longevity is the eating of a calorie restricted diet. So this basically means not overeating and making sure the foods (and supplements) you do eat and take are nutrient dense (high in nutrients and low in calories). Empty calorie foods such as refined and processed foods and junk foods are the absolute worst and are guaranteed to shorten your lifespan severely. Virtually every study that’s ever been done on longevity has been able to prove this and even the vegans and omnivores both agree on this one. So if you want to live a long life, don’t overeat! Finally, you must stay active in body and mind for a long and healthy life. Every single person that I’ve read about who’s lived over the age of 100 has stayed physically and mentally active. One of the biggest causes of death right around the world is actually retirement! When someone retires or decides they have nothing more to do in life, lookout! That person already has one foot in the grave and they don’t even know it. Census records show that more people die within the first 12 months of retirement that at any other time. Going back to some of the people who’ve lived over the age of 100, Jeanne Calment took up fencing at age 85 and was still riding her bike at age 100. Shirali Mislimov worked every day out in the fields until his death. Fauja Singh is a 100 year old centenarian who still runs marathons. And Florence Ready is 101 years old and she still goes to aerobics classes 6 days a week! Of course, you must also stay mentally active and still feel that you have a purpose in life. Boredom is sure death. Your thoughts also play a huge role in how long you live and whether you end up with a disease or not. Negative thoughts, hateful thoughts, worry and guilt, and the accompanying problems they breed (anxiety, depression, stress, etc) all lead to degeneration of the body (and mind) and will surely shorten your lifespan. So basically… you need to lighten up! 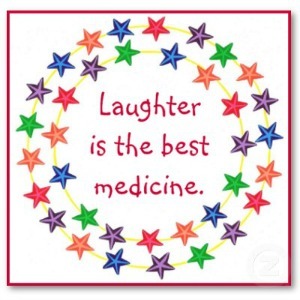 Don’t take life so seriously and learn to have a laugh. Let me ask you a question… What do Bob Hope, George Burns, Art Linkletter, Phyllis Diller and Milton Berle all have in common? Well, apart from the fact they all lived well into their 90’s (Bob Hope made 100 and his wife Dolores lived to 102), they all had a great sense of humor (and they were a mixture of vegans and omnivores, in case you were wondering). And back in 1979, Norman Cousins wrote a best-selling book called “Anatomy of an Illness” describing how he watched Marx Brothers films all day and recovered from a life-threatening illness… by laughing his way back to health! It’s true that you can even go to laughing groups now. What happens is everyone sits in a circle and starts laughing (faking it to begin with) and then eventually everyone is literally peeing themselves laughing, for absolutely no reason! This must continue for at least 10 minutes, but interestingly, after the 10 minutes is up you feel positively amazing! But you don’t need to go to a laughing group to get the benefits, just spend 10 minutes each day by yourself (or with someone else if you’re comfortable) and laugh yourself stupid for 10 minutes! Now at first you’ll probably have to fake it, but it won’t take long before you’re laughing your head off… at nothing at all. You’ll also feel like an absolute idiot to begin with, but you do get over this. So I urge you to try it right now! It’s also such a great way to start your day off on a positive note. All right, I’d like to settle this debate once and for all by saying that both the vegans and the meat eaters are right (I’m sitting on the fence I know!). Personally, I’m an omnivore and not a vegetarian. But I have to say that in the last few years I’ve cut back substantially on the amount of red meat I eat (I used to have a steak nearly every night). Today, I much prefer to eat fish over red meat, along with lots of veggies or a salad. But I really don’t think it matters a whole lot either way when it comes to longevity, and the “real life” examples seem to prove this. What does matter, however, are the points I just outlined above. And longevity should not be confused with wellgevity (yes I made that one up) anyway. A well lived happy life is surely preferable to a very long, boring and miserable life in my view anyway! As the great Leonardo da Vinci once said… “As a well spent day brings happy sleep, so a life well spent brings happy death”. Until next time, stay safe and keep on smiling. It's definitely one not to be missed! P.P.S. If you like this e-zine, please do a friend and us a big favour and pass it on to them. If a friend did forward this to you and you like what you've read, please subscribe by visiting our website below. If you missed our first four edition's of Life Saving Health Solutions then simply click on the back issues link to read.